Most of the Amazon sellers want to track the rank of their listing on their target keywords in order to improve Amazon ranking. An average product listing can have 10 to 20 keywords and if a seller have several listings then it would be very tough to track all the keywords manually. Our Amazon rank tracker is the best solution for those serious sellers who are looking to track Amazon keyword ranking. You need to constantly track the rank of your important keywords. At AMZ Insight we take all the hassle out of it and you don’t have to do manual work on the spreadsheet to track the ranks. All the hard work is done by this Amazon ranking tool and you are ready to take a quick decision based on current rankings. How Amazon Rank Tracker Helps? Basically this Amazon ranking tool is designed to help you save time that you are investing in manual Amazon keyword research and tracking. It will constantly track all the keywords that you have added to the system and always keep you updated with the latest rankings of your listings on the important keywords. Our Amazon ranking tool will help you track the rankings and trends of all the keywords that you added. It displays the data nicely in the graphs so you can easily see the trends when the rank is dropping for a particular keyword. Optimize your listing for those keywords and monitor the change in ranking through the graph. You would save hours of daily work that you can invest in other useful tasks like sourcing products or focusing on Amazon marketing of your listings. Our Amazon ranking tool lets you track the ranks of your products on several keywords and saves your time of manual research. If the rank is high, you will make more sales as your product will show up on top positions and vice versa. So, this amazon tool helps you to optimize your keywords by continuously monitoring the rankings. 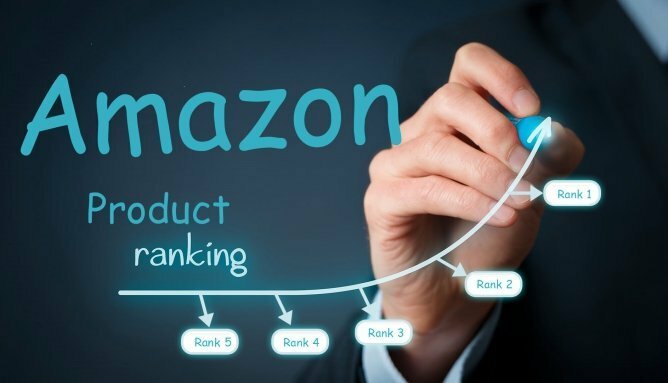 The tool will track the changes in the Amazon product ranking and clearly shows you changes (with + for improved ranks and – for dropped ranking) in the ranks of your product on different keywords. Find the most searched keywords using Google’s Keyword Planner and add the high search volume keywords to the ranking tool for tracking. You can also find new keywords using Amazon keyword generator for more potential keyword suggestions to target Amazon search. How to Improve Amazon Ranking? 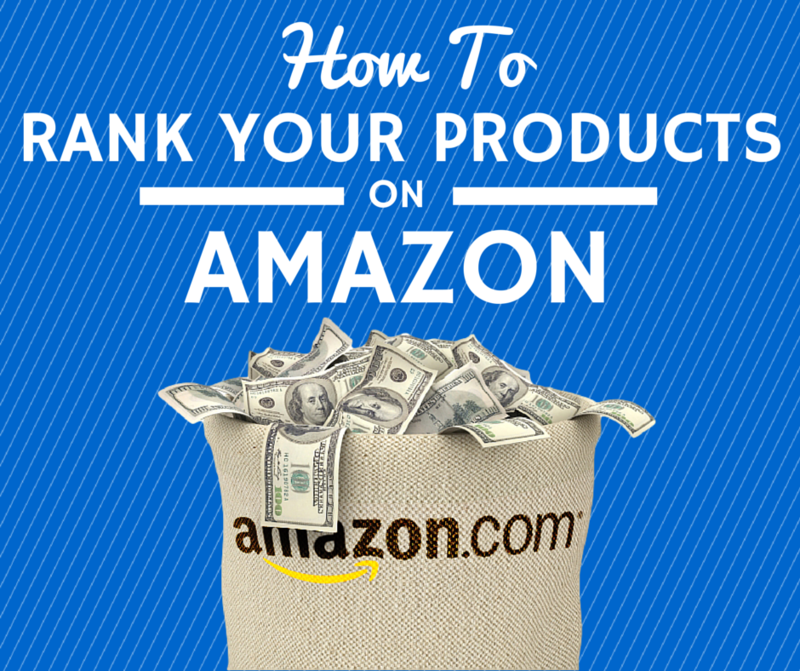 This Amazon rank tracker is ultimately going to help you increase your sale because you can keep an eye on the rank of your target keywords. It will inform you about product listing that need to be optimized for the specific Amazon keywords. So you can improve the positions and rank higher. Change Your Prices: When you have competitors selling the same product at different prices then you should adjust your prices according to the competitors. Amazon price scanner tool will help you to track and maintain Amazon price history of competitor’s product. Consider changing your price towards the lower end for a certain time period (or to higher end depending upon product) to drive more traffic to your product. More traffic means more sales and better ranking. Regular Promotions: When you run a promotional campaign, it quickly boost the sales and each sale means improvement in Amazon sales rank that further brings in more customers. Running promotions regularly moves your rankings upward with a consistent pace for the current keywords and lets you target more keywords. Promotional tools available in your Seller Central dashboard. Amazon ranking tool can help you track which promotion has improved your ranking. Keywords Research: Now to target more keywords you must perform comprehensive keywords research. Use Amazon keyword research tool for the most relevant keywords suggestions. Target your competitors’ keywords and filter out those you are not ranking for. Specially target and optimize your product for long tail keywords as users who search such queries look for exactly the items they want. Improve Listing: Once you have researched more keywords to target, start optimizing your listing. Optimize listing by adding most important keywords in title, bullet points, description and search terms field. it is recommended to carefully add keywords in the product description and bullet points without breaking natural reading flow. In this way you can optimize your listing to improve the keywords ranking. Amazon PPC Campaign: Run Amazon Pay Per Click campaigns to boost sales and improve rankings. If you are running any PPC campaign on or off the Amazon, always refresh ad contents. This will help to find out what works best for you in terms of traffic and conversion. Add specific keywords in the ad to further improve the rankings. User Amazon rank tracker to monitor the impact of Amazon ad campaign on rankings. You are advised to choose the right keywords with high search volume to take the full advantage of our Amazon tracking software. You can find the most searched keywords on Amazon with the help of our Keywords Idea tool and use those to optimize your listing. Add those keywords to the product that you have already added to our system and it will automatically start tracking the keywords. Check ranking with the help of Amazon rank tracker as frequently as you can and optimize your listings for newly added keywords. Our Amazon keyword tool pulls recent and most searched keywords that are relevant to your seed keyword. Amazon search volume for the keywords is currently not available but keep in mind that all the suggestions come directly from the Amazon search bar that means these are the most popular keywords in the current time. So, generate your suggestions and optimize your listings with those keywords and also set them on tracking to stay updated.